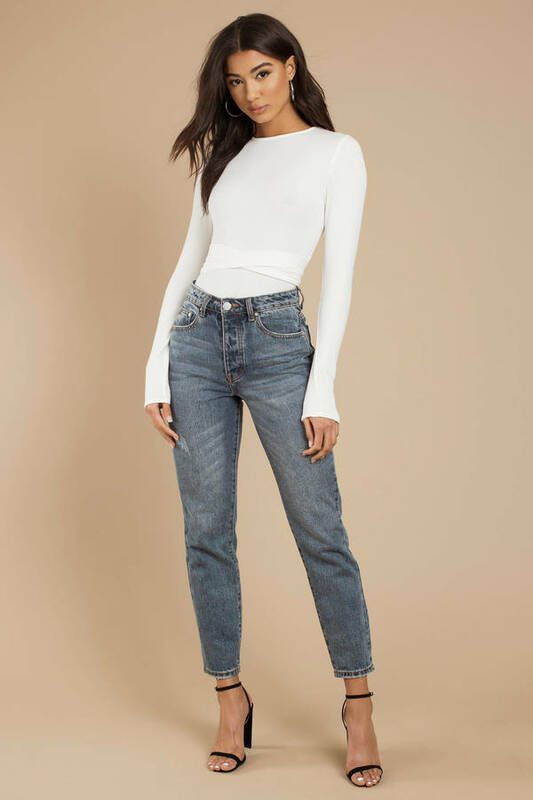 Check out Tobi's Kylie Self Tie Bodysuit Start your weekend right when you wear the Kylie White Self Tie Bodysuit. This wrap tie shirt features tight long sleeves, crew neckline, and a cutout in the back with crisscrossing straps that tie into a bow. 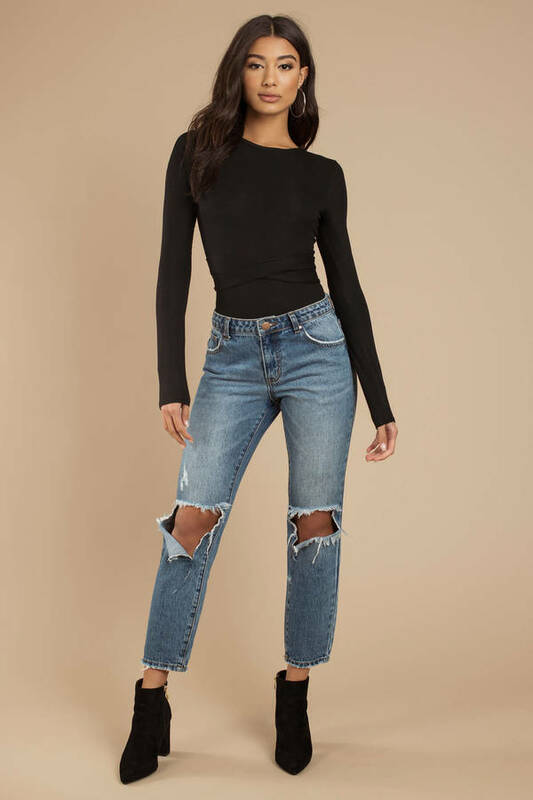 This unique bodysuit will look stunning with paperbag culottes or a high waisted denim skirt. Start your weekend right when you wear the Kylie White Self Tie Bodysuit. This wrap tie shirt features tight long sleeves, crew neckline, and a cutout in the back with crisscrossing straps that tie into a bow. 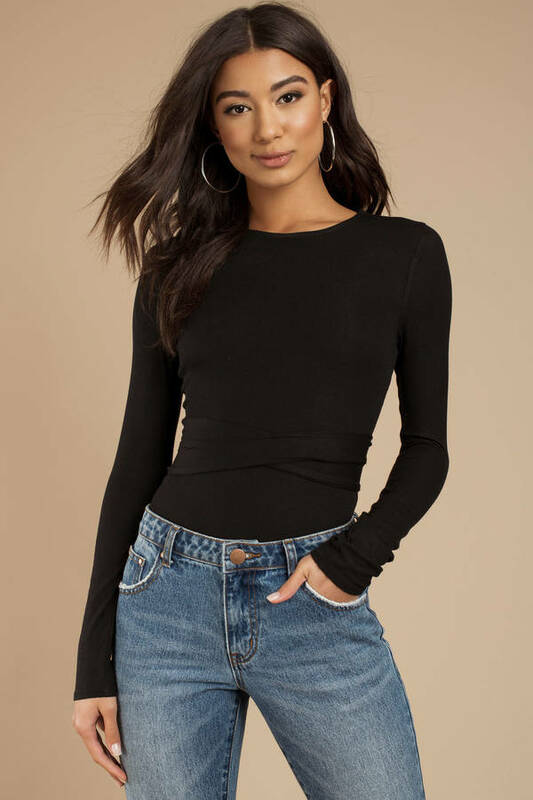 This unique bodysuit will look stunning with paperbag culottes or a high waisted denim skirt. Start your weekend right when you wear the Kylie Black Self Tie Bodysuit. 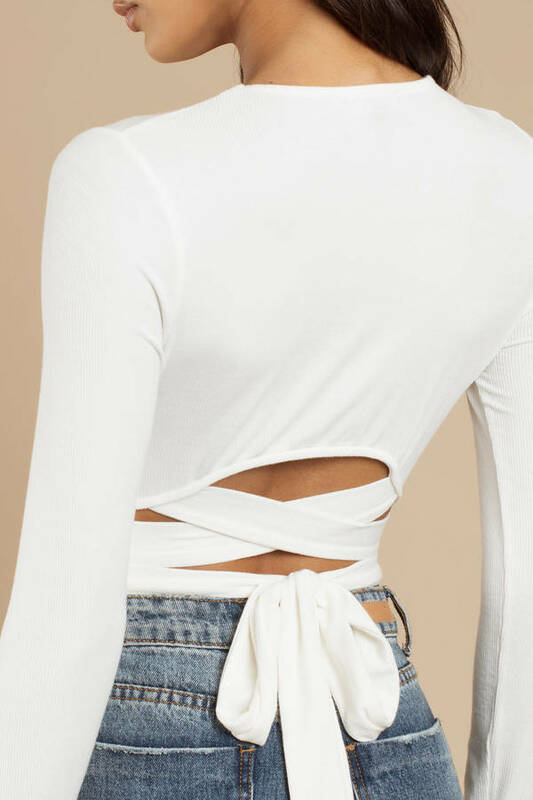 This wrap tie shirt features tight long sleeves, crew neckline, and a cutout in the back with crisscrossing straps that tie into a bow. This unique bodysuit will look stunning with paperbag culottes or a high waisted denim skirt. Black, White modeled on a size Small.